The established OPTIPLEX FIBER III laser platform is now available in 10kW power. Featuring premium POWER+ exclusive technology with an innovative control and drive package deliver high performance for fabrication job shops and production environments. The exclusive breakthrough Mazak Direct Diode Laser technology is now available in 6kW power. Delivering higher performance and reliability than traditional fiber or other solid state laser generation systems. The direct diode generator and MAZATROL Preview G control make it a Game Changer! OPTIPLEX CHAMPION 3015 FIBER is an economical production machine designed for low variation environments, featuring an easy to use manual focus torch for reliable operation and production consistency. OPTIPLEX CHAMPION FIBER is available in 2.0kW and 3.0kW generator configurations. Being introduced at FABTECH, the LCS 3015 automation system is a part of the LATERAL COMPACT automation series offering great flexibility with its narrow design for more linear footprints along a wall, near an aisle or other narrow workspaces. 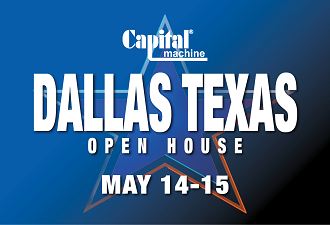 Watch live demonstrations on the OPTIPLEX FIBER 8kW laser-cutting machine along with other fabrication equipment at the Capital Dallas Open House. 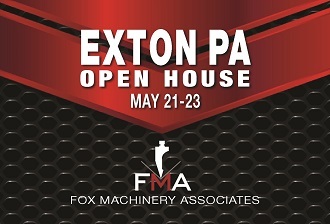 Learn more and watch live demos on the OPTIPLEX NEXUS FIBER 6kW at the Fox Machinery Open House. 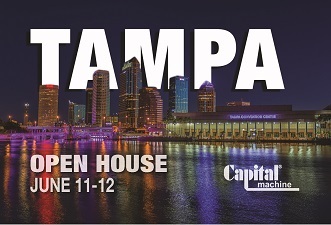 Preview live demos on the OPTIPLEX FIBER 8kW at Capital Machine's "Advanced Metal Fabrication Technology" Open House. 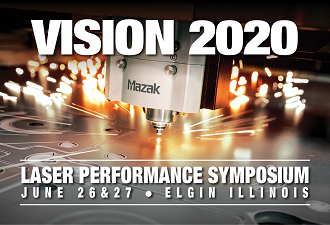 See the next decade of advanced laser-cutting and automation technology at Vision 2020 in Elgin on either June 26th of 27th.